Hot Star's newest Large Fried Chicken is here! 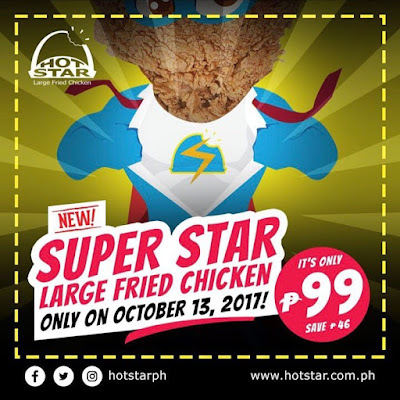 Come and try this newest Super Star Large Fried Chicken for only P99! 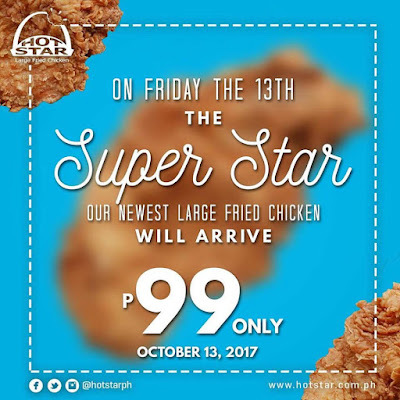 Head to your favorite Hot Star branches tomorrow, October 13, 2017 to avail of this promo!